How Far is Namitha Harmony? 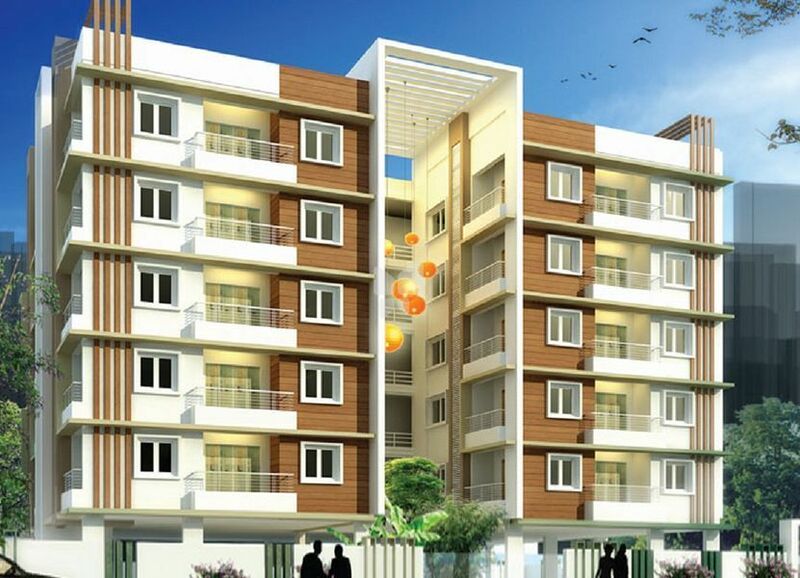 Namitha Harmony is one of the popular residential developments in Moula Ali, neighborhood of Hyderabad. It is among the projects of its Builder. It has lavish yet thoughtfully designed residences. Reinforced Cement Concrete. Table moulded good quality brick walls with External 9” and internal 4” walls. Main doorframe with best quality Teakwood. Polished teak paneled Main Door shutter with brass fittings. Internal doorframes will be of Teakwood. All internal shutters will be Flush/Moulded type and fitted with necessary fittings. Frames and shutters will be in UPVC with MS-grill. UPVC French doors with plain glass. Black Granite Platform with Steel/built-in sinks. Wall tiles dado upto 2’ above platform. Non-skid ceramic tiles for flooring and designer ceramic tiles for wall cladding upto 7’ height. One wall mixture, shower and necessary C.P.fittings. One EWC with flush tank and necessary fittings. Provision for exhaust and geyser. I.S.I standard G.I./CPVC piping. Luppam finish (NCL/ Altek) for all internal walls. Acrylic emulsion (Berger/Asian) paint for internal walls. External walls will be painted with Cement based putti. Vitrified flooring in all bed rooms, hall, kitchen. Granite tiles with skirting for corridors & staircase. One 6 Passenger lift of a standard make. CPCB approved soundproof Generator (Escorts/Kirloskar) for Lift / water pump, parking, corridors, terrace and 5 points in each flat. All the flats will be planned as per perfect Vasthu. Concealed Sudhakar P.V.C. pipes with I.S.I standard copper wiring with adequate points. Branded modular switches with metal box. Adequate fan, light and 5 Amps points. Geyser & exhaust points in one bath room. 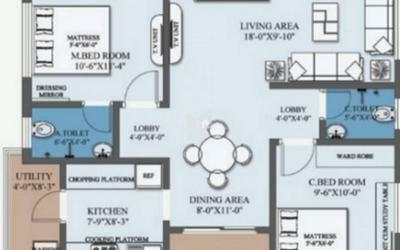 T.V./Phone point in Hall/drawing and one Bedroom. A.C Points in one Bedroom. Necessary 5 Amps points in kitchen.